As one of the more heavily gun regulating states, New York has a lot of laws you’ll need to be aware of in order to be a law-abiding gun owner. Luckily for you, we’ll go over everything you need to know to navigate the maze of New York gun regulations to help you buy a gun in no time! New York Map in New York State! Before we delve into all the steps that are required to go near a handgun, if you are only interested in purchasing antique firearms, you can skip a lot of the steps involved with standard firearms. A pistol or revolver that uses fixed cartridges that are no longer available in regular markets. A license is not required to possess, collect, or carry an unloaded antique firearm. This means you can buy and own an antique firearm, as long as it falls into the definitions above, just like any other item you would pick up from your local convenience store. An antique pistol is treated like a regular handgun, however, if it does not fall into the antique firearm definition. A replica of an antique pistol, if the replica is not designed or redesigned to use rimfire or conventional centerfire fixed ammunition, or uses ammo that is no longer readily available in the US. Because there is some overlap between an antique firearm and an antique pistol, if you are dealing with antique pistols and there is even any tiny doubt in your mind, you will be better off treating it like any other handgun in the state of New York. If you only deal with unloaded antique firearms, you would probably be fine just treating them like any other collector’s items. 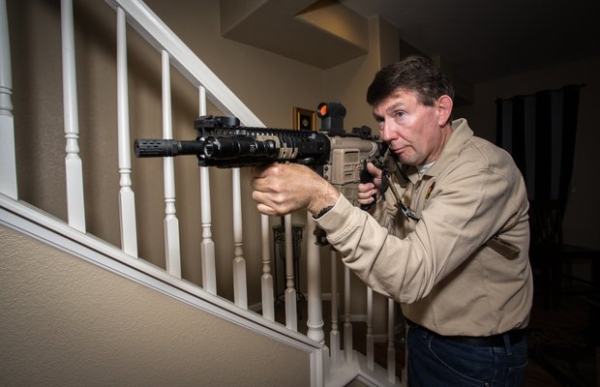 If you aren’t an antique firearms collector and are more interested in modern firearms that you can use for self-defense, then you will need to get a license. The background check applies to everyone, unless you are transferring your handgun to your spouse or domestic partner, or your children or stepchildren. Any other transfer of firearms, even if it is to your parents, or to someone else in a private firearms sale, will require a background check by a licensed firearms dealer. The license to carry or own a handgun is where things get a little hairy. The license, in addition to allowing you to buy a handgun, also allows you to own and carry a handgun, which basically means keeping in inside your home. Any other reasons to carry it outside the home will need to be approved by the licensing officer, and will usually need a “proper cause”. To apply for the license, you need to go to the licensing officer of the city or county where you live (or work, if you live out of state). It’s important to keep in mind that even if you get a license in New York state, you will need to have the license approved by NYPD to be valid in New York City. 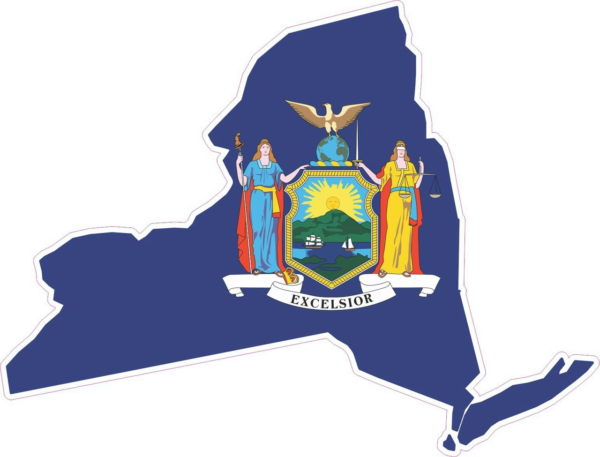 If you apply for a license in New York City, then it would be recognized throughout the state. Be a legal resident of the US. Are the subject of a protective order. In some counties, like Westchester, there is an additional requirement of completion of a firearms safety course and proficiency test. You’ll need to check with the licensing officer of your specific city or county to see if there is this additional requirement. 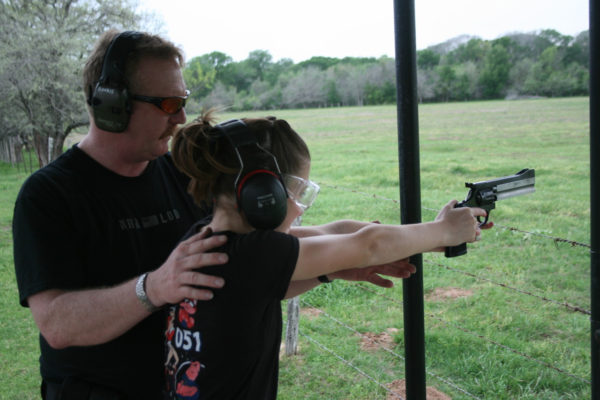 The safety course requirement can usually be met by taking a course taught by an NRA-certified instructor. Once you meet all the requirements and fill out the application, you’ll need to wait about 6 months to hear back. If you are granted the license, you will need to renew it every 5 years. If you are denied your license, you can appeal the decision, if you can show the decision was arbitrary. The licensing officer has complete discretion to issue or deny the license, however, so if you plan on appealing the denial of your license application, you will need to make sure you have strong proof that the decision was an arbitrary one, not for some reason the licensing office can justify due to something in your background that would disqualify you. If you do need to appeal and feel strongly about your case, you can take it to the Superior Court of your county, and fight the denial there. Usually, if there is any chance you will win your appeal, you can convince the licensing office to grant the license without having to go to court. When you finally get your license, either from the 6 month waiting period, or getting a denial overturned, you will need to pay attention to the terms of the license. Typical licenses allow you to own a handgun, and carry it “on premises only”, which means your posession of the gun is limited to whatever location is listed on the license, which is usually your home, or your place of business. It’s super important to remember to renew your licenses, because the license allows you to carry and possess your handguns. If your license expires, you are no longer allowed to buy handguns, but you also cannot own handguns at that point, and will need to surrender all your registered and unregistered handguns (if you had any before moving to New York). At a pistol shooting competition sponsored or approved by the NRA. After all the gymnastics you have to go through to get a handgun, buying and owning a long gun in New York is easy by comparison. 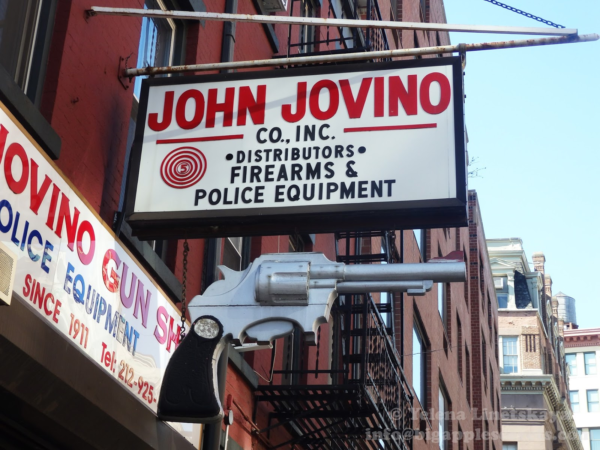 No permit is required to buy a long gun, except in New York City. The permit for buying a long gun in NYC is similar to the process for the handgun license, and the application process is done through the NYPD like before. Just like with handguns, a background check is required in every instance of a sale, except for transfers to your spouse or domestic partner, or your children or stepchildren. Like with handguns, there are certain situations where kids under the age requirement can also use long guns. If you are between 12 and 18 years old, you can use a long gun if you are supervised by a parent or guardian, or have written permission from a parent or guardian to be supervised by a certified instructor, to use a long gun on a shooting range. The state of New York also requires you to go through a background check when buying ammunition. In addition, all ammunition purchases have to take place in person. Even if you order ammo online, you will need to ship it to your local gun store, and pick it up from them to meet the “in person” requirement. There will usually be a fee for your local gun store to accept and store your ammo order. Guns that fall under the definition of an “assault weapon” as defined by the state are illegal to own, unless you owned it before January 2013. If you had one before then, by now it should be registered, surrendered to law enforcement, or modified to no longer be considered an assault weapon. A weight of 50 ounces or more when unloaded. You’ll want to check to make sure your firearms don’t meet those requirements, or else you’ll need to surrender them. There are some categories of firearms that are specifically not included in the “assault weapon” definitions, however. Any firearm that was manufactured at least 50 years ago, not including replicas. If these requirements sound like you pretty much can’t own any decent shotgun or AR-15s, we’ve got you covered! 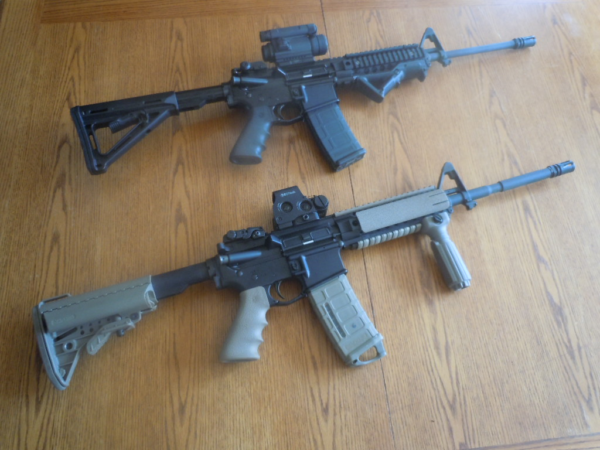 Once you wrap up here, make sure to check out our page on “featureless” ARs to see some modifications that can be made to make sure your firearms do not have any characteristics that would make them illegal to own in New York. New York has also banned magazines that can hold more than 10 rounds. The only exception is for attached tubular magazines that are designed to accept and can only operate with .22 caliber rimfire ammo. It’s important to keep in mind that unlike assault weapons, even if you owned the magazine before the ban went into effect in 1994, you cannot register the magazine and keep it. Even possession of magazines capable of holding over 10 rounds is illegal in New York. You’ll need to turn the magazine into your local gun store, police department, or maybe give it to someone out of state. Once you’ve finally managed to buy a gun, you’ll unfortunately be restricted to just keeping it at your home or place of business. When you applied for the license to carry as part of the handgun-buying process, the license also listed where you could carry your handgun. The license most likely limited possession of your handgun to your home, or your place of business, unless you were able to provide a convincing reason why you should be able to carry anywhere else. Without a license to carry that lists any other places aside from your home or place of business, your guns will have to stay at home, or locked away while you transport them to the shooting range or hunting grounds. When transporting your firearms, they need to be unloaded, and locked away in the trunk. If your vehicle does not have a trunk, you will need to keep them unloaded, and locked away in some type of container, which does not include the glove compartment of the vehicle console. Not considered a locked container, even if you lock the glove compartment. Given the number of out-of-state visitors to New York, the state has specific laws on how to transport firearms from your home state. Nonresidents can transport firearms into the state if they are competing in matches sponsored or approved by the NRA, or the International Handgun Metallic Silhouette Association. The nonresidents will need to have a pistol license or firearms registration card from their home state with them, to be presented to law enforcement officers upon request. 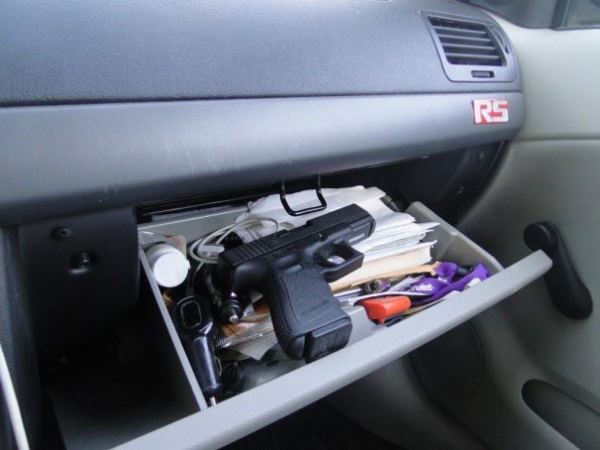 Just like the firearms transporting rules that apply to New York residents, nonresidents need to make sure the firearms being transported are unloaded and in either the trunk, or some other type of locked container, not including the glove compartment or console. The state of New York does allow you to defend yourself with deadly force if necessary, with some conditions. Under what is commonly referred to as the “Castle Doctrine,” New York allows people to use deadly force to defend themselves in certain situations. Specifically, a person may use deadly force if he reasonably believes another person is using or about to use deadly force. As long as you have a reasonable belief someone is about to use deadly force on you, you are justified in using your firearm to defend yourself. What is reasonable is for the jury to decide, but if someone breaks into your home with a gun in hand, it’s a safe bet they can cause you deadly harm. Outside of your home, the state is not as generous in allowing you to defend yourself. For the most part, you are allowed to defend yourself if faced with a deadly threat just like you would at home. However, you cannot use deadly force if it is possible to safely retreat without risk of harm to yourself or others. This means that if you are licensed to carry outside the home, and are faced with a deadly threat, you have a duty to retreat, as long as it is safe to do so, rather than try to end the threat. Don’t be a hero. And on that happy note, we’re done! You now know all the basics about gun laws in New York! Well, except for the concealed carry laws. But we’ve got got you covered with our New York CCW section, so go check it out! If you don’t need to know about the concealed carry laws just yet, that’s ok too! You can work on your gun collection instead! You might want a nice safe to keep your guns safe and secure, away from prying eyes and curious kids.